I am Always LateCan Electronic Surveillance Help Those Who Are Always Late To Work? Can Electronic Surveillance Help Those Who Are Always Late To Work? But, of course, specialists underline practical negativism and rejection of using daily electronic monitoring from the side of the employees. People like to be trusted and mostly pay back for this with good productivity and decent behavior at work. Many employees find measures of electronic control and surveillance to be the acts, which derogate from their human dignity and directly infringe the privacy rights of a person. Such opposition received immediate support by legislative regulations. In a number of European countries, like Austria, there are some restrictions for using measures of electronic surveillance at work. In order to establish any form of electronic control of employees, business organizations need to receive a special permission from the works council. Similar laws, establishing privacy protection regulations, were attempted to be adapted in our country, in particular, in California, but they were vetoed by the Governor at the early stages. In any way, recently the demand and popularity of using different means of electronic surveillance in the USA is firmly growing. 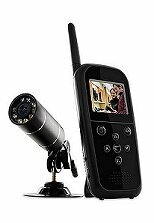 As the survey of NBC Nightly News shows, about 40% of American small companies use video cameras to control the employees during their working hours, (Electronic Surveillance at the Workplace, Norwich Uni.). Now more than 80% of the companies control Internet usage of the employees. Also, more than 50% of the companies monitor telephone conversations of the personnel, when in 2001 this index was only 9% (2005 Electronic Surveillance Survey). Besides, the researches underline that recently the sensitivity of the employees to electronic control and monitoring is decreasing (including those who are always late), and now the personnel becomes more and more tolerant to the measures of electronic surveillance at work. Especially after the events of Sept. 11, people started finding electronic surveillance and monitoring to be very efficient for preventing some dangerous criminal or immoral intentions of the employees. Now many employers practice notifying their employees about the periods of using electronic surveillance and monitoring. Recently, the employers firmly extend usage of this type of control for keeping the threads of business in their hands. “To help control the risk of litigation, security breaches and other electronic disasters, employers should take advantage of technology tools to battle people problems—including the accidental and intentional misuse of computer systems, telephones and other electronic resources,” Nancy Flynn, director of a research project, commented (2005, Electronic Surveillance Survey). Of course, using the means of electronic surveillance at workplace is acceptable practice. Moderate usage of electronic surveillance, especially in small business, where it is much easier to control everything personally can assist in catching chronic latecomers, chronic lazy workers or those who do not want to do their job properly. Some control by electronic surveillance can be reasonable at large developed enterprises or production plants, but it must be done carefully and periodically. However, in the offices or factories, where bosses demonstrate trust to their employees and use minimal amounts of electronic surveillance, the output and organizational climate are a lot better.